Special Containment Procedures: SCP-1453 is to be stored in a standard secure containment safe equipped with a dual key lock. Under no circumstances are any personnel to touch SCP-1453, even if wearing hazardous material gear. Should movement of SCP-1453 become necessary, it must be moved by robotic equipment. Any research relating to SCP-1453 must be documented with video equipment. In the event that any person under Foundation employ who has worked with SCP-1453 is accused of any major unsanctioned criminal misconduct (either within the internal Foundation administrative apparatus or in the external judiciary), Foundation lawyers are to review both all incriminating evidence and the security records relating to SCP-1453. In the event that the accused did come into physical contact with SCP-1453, specific measures must be taken. If the misconduct is being handled internally at the Foundation, this evidence must be deemed admissible to the relevant misconduct hearings. If the misconduct is being handled in the external judiciary, following the conclusion of the trial process, if the accused is found guilty, he/she is to be turned over to Foundation custody. He/she is then to be re-tried without prejudice within a closed Foundation hearing adhering to the same legal standards as the external judiciary, with the accused's contact with SCP-1453 entered into evidence. 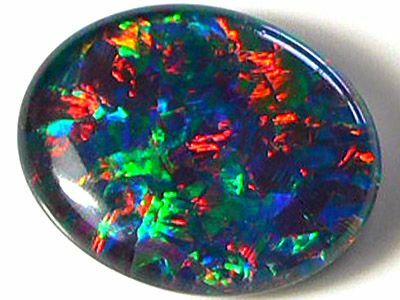 Description: SCP-1453 is a polished and cut black fire opal approximately three centimeters long, two centimeters wide, and one centimeter thick. Any individual who touches SCP-1453 will find themselves accused of a serious crime capable of destroying their reputation and good standing within their community. The accusations will be made within one week to six months of touching SCP-1453; the length of time between the physical contact and when the accusations occur appears to be random. While SCP-1453 was originally believed to affect any individual or organization which possessed it, it is now known to simply affect individuals who physically touch it. Additionally, no individual is known to have been accused as a result of SCP-1453 more than once. The complainants in cases related to SCP-1453 have invariably produced corroborating evidence, including personal and third-party testimony, exhibits, documentary material, and/or demonstrative evidence. The origin of this evidence and the means by which it comes into the possession of the complainants is completely unknown at this time. Though the complainant always has had a prior relationship with the defendant, the circumstances of this relationship varies (friends, coworkers, spouses, family, etc.). All complainants have appeared sincere, as have witnesses testifying on their behalf, regardless of their previous views or relationship with the defendant. All defendants have proclaimed their innocence with equal apparent sincerity. In relevant judicial or administrative proceedings where knowledge of SCP-1453 has not been entered into evidence, the frequency of the defendants being found guilty or at fault is fifteen percent higher than the frequency of defendants in comparable cases in which SCP-1453 was not involved. Whether this represents a statistical anomaly or demonstrates that SCP-1453 has affected the impartiality of the proceedings is not known. To date, it has proven difficult to determine if all allegations made against persons who have touched SCP-1453 were due to its effects (and thus fallacious), or whether these individuals did, in fact, commit the crimes of which they were accused. To the best of the Foundation's knowledge, however, no allegations made against individuals who were either currently in possession of SCP-1453, or who had come into contact with the object within the past six months, have been shown to stand up to scrutiny if knowledge of SCP-1453's effects is taken into consideration. SCP-1453 is believed to have existed since at least the third century BCE, but did not come into possession of the Foundation until 20██. The following is a list of known accusations made against individuals who touched SCP-1453. Note that, given the particular circumstances of each defendant, all of these allegations were capable of destroying the defendants' reputation and good standing within their community.